The lightest shoe in its range offers leather uppers and a DRI-BACK bootie membrane system giving a waterproof and breathable upper. 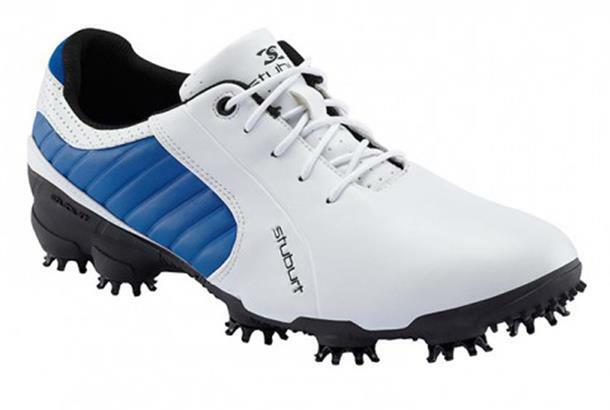 As reviewed in our 2014 Shoes Test: Their appearance is likeable, modern but no crazy styling that’d arouse sniggering if you duff one off the 1st. The grip is good, but there was a slight crunching sound walking on firm greens and they did leave a few slight marks. 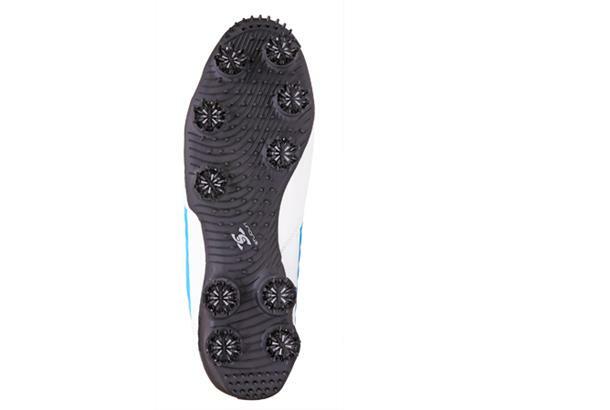 Felt roomy, spikes are very long and plentiful but also very soft and grippy. Nice fit, comfortable, Laces very long.